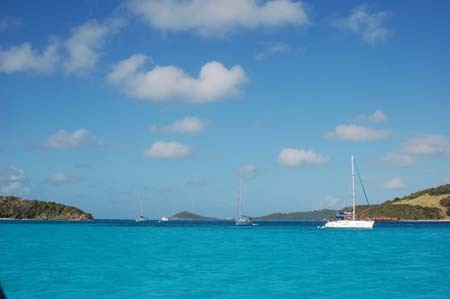 The Tobago Cays lie behind the well-named "End of the World" Reef and is the pride of St. Vincent and the Grenadines. There is a huge shallow sandy bay behind the reef which is all that lies between your boat and Africa. 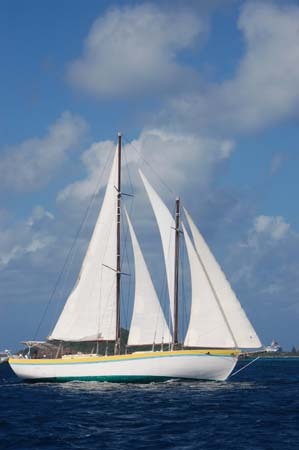 The anchoring is probably the easiest in the Caribbean as it is a huge shallow expanse of sand. There is still room even with the extensive mooring field - be sure not to get into one of the reefs. 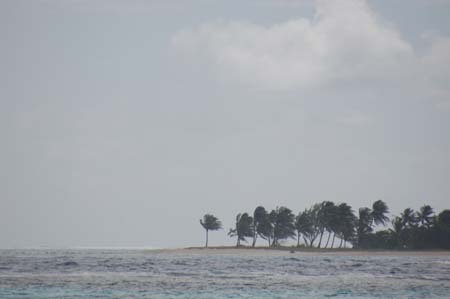 Behind the main anchorage are several small, uninhabited islands. One of the Cays to the south east was in the whiskey burning scenes in "Pirates of the Caribbean". Others serve as open air restaurants and markets during the day. Despite the Tupperware fleet of boats, day-tripping catamarans and swarms of boat vendors from Union Island, you can squint and convince yourself you are marooned on a deserted island. Great snorkeling. Big fun. A neighboring boat actually fed these birds and when I got out the camera, they figured more food was on the way. 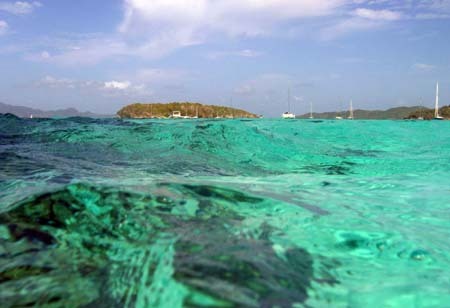 Snorkeling the reef at Tobago Cays. 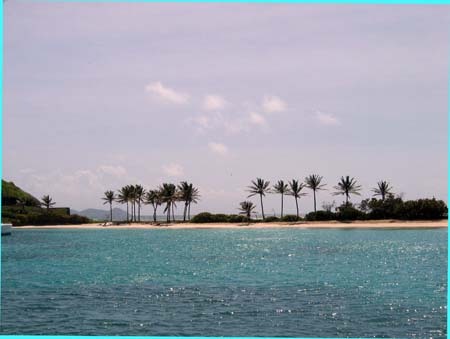 The islands form the western edge of the anchorage and the reef forms a big arch around the front. Shallow on the inside, watch the current on the outside. Petite Tabac (of the rum burning scene in "Pirates of the Caribbean") on a windy day. You will feel every knot of wind as there is nothing to break it in the anchorage. Fortunately, the reefs break up the swell and the holding is excellent. Salt Whistle Bay is never empty like this. If it isn't packed, this is the perfect little palm fringed bay. 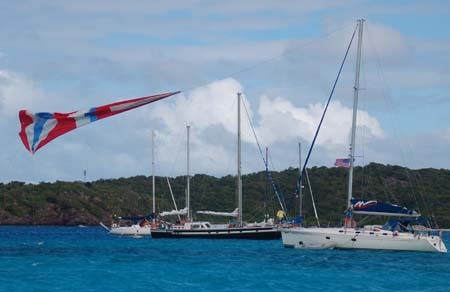 The Tobago Cays lie in the background. Its a nice walk to the village up the hill to the south. 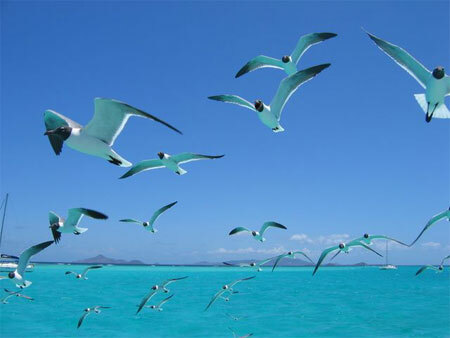 Not every boat coming in to the Tobago Cays is boring.